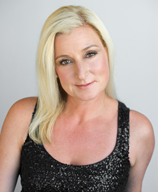 This month’s speaker is Keri Riccardi, NJ Video Marketing. Keri Riccardi is one of the most dynamic and prolific networkers in Northern New Jersey. She is the co-owner of Video Marketing Group, a video production studio that produces videos for websites, blogs, and social media. Their core clients include individual professionals, companies of all sizes, and non profit organizations. Among her peers, Keri is known for her ability to strike the ideal balance of work and home life, where she and her husband are raising three teenagers and one "tween"ager. A seasoned pro at networking, Keri can not only be found traversing many area chamber and networking events, but just ask her anything like “who is a talented interior decorator I can call”, or “where is there a great Italian restaurant in this area”, or “Where can I find a great Yoga or Pilates instructor”, she just might pull out a card from her purse and hand it to you on the spot! Below are the three topics that Keri will be discussing. 1. You're frustrated that you don't have more traffic to your website, or if you do, you're even more frustrated because you don't have an inbox filled with inquiries & you don't have a phone ringing with more business. 2. You're overwhelmed that you can't be everywhere, with everyone, 24/7. 3. You're printed materials (brochures, tri-folds, menus, cards) are impressive & impeccable, but they just don't convey your passion. At the end of the talk, Keri will share 3 valuable takeaways. You will have to attend to find out what they are! Get in touch with Keri!